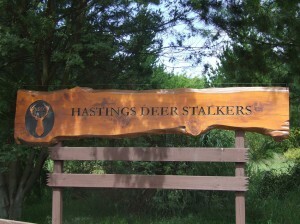 Welcome to the Hastings Branch of the New Zealand Deer Stalkers Association (NZDA). We have been a fixture for local hunters, wildlife photographers, target shooters and outdoorsmen for the last 60 years in Hawke’s Bay. Our branch has a reasonably diverse group of members from all occupations and backgrounds. Our common interests in recreational big game hunting is what brings us all together, whether it it is with a rifle, hunting bow or a camera. Typically, our members are hunters who like to put wild game meat on the table, but if the opportunity arises to take a trophy animal we certainly wouldn’t be passing it up. If you are interested in find out what our club is about, you are welcome to check out our branch at the next meeting. Our club nights are always held on the first Wednesday of each month, at 8.00pm, at our club rooms.